1) Feral (wild) cats are not a different species than your typical pet cats - they are identical - feral cats simply grew up outside without socialization to humans and are frightened by us, like most wildlife. 2) Socializing feral cats older than 3-4 months is almost impossible and even small kittens take a lot of care and work. 3) Trying to manage feral cat colonies by trapping & killing is inhumane and ineffective. 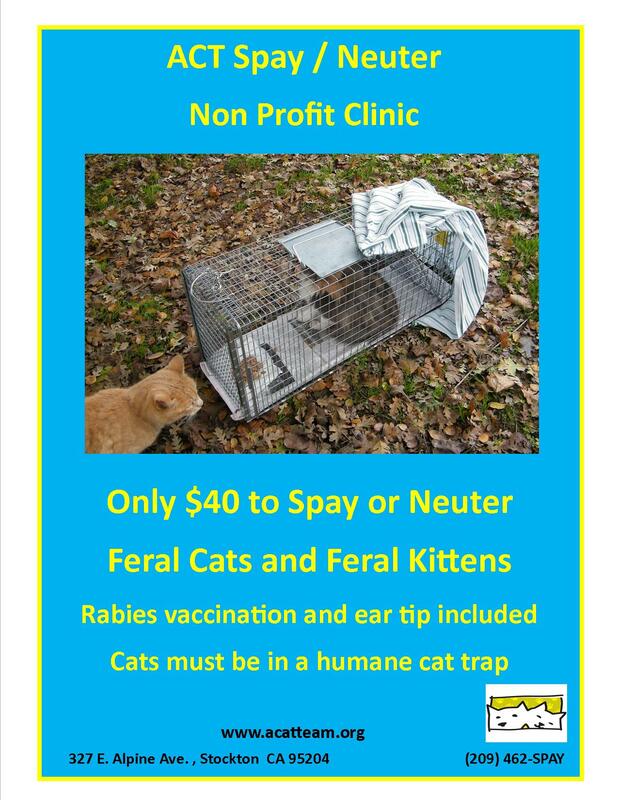 What is humane and effective is Trap/Neuter & Return (TNR for short). Sterilizing the cats avoids unwanted kittens and helps control the colony size, greatly reduces disease transmission, eliminates mating and fighting among the cats and let's them live out their lives in healthier condition. 4) Learning to TNR wild cats is easy & ACT offers loaner traps for a refundable $100 deposit. Instruction with assistance are available at ACT Spay/Neuter Clinic. Speaking from experience we can tell you that spending an evening helping feral cats this way is more fun than a barrel of wild monkeys! Not to mention that great feeling you get knowing you're saving cats and making their lives so much better - even if you can't touch them!.